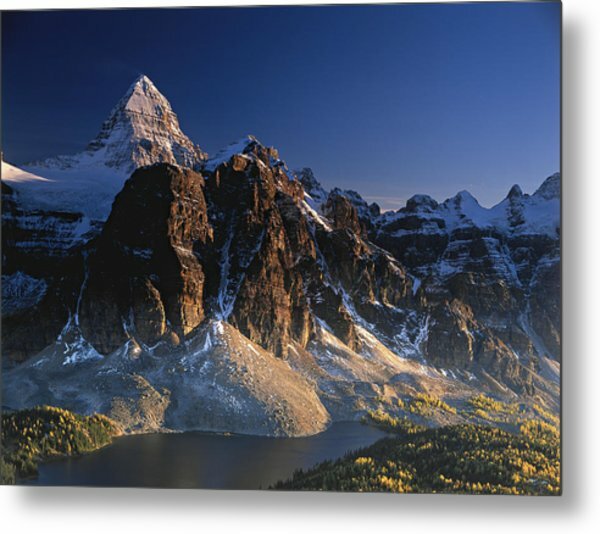 Mount Assiniboine And Sunburst Peak At Sunset is a photograph by Richard Berry which was uploaded on November 28th, 2014. 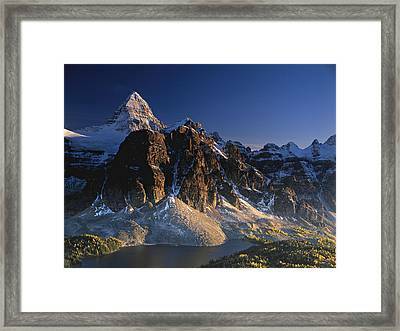 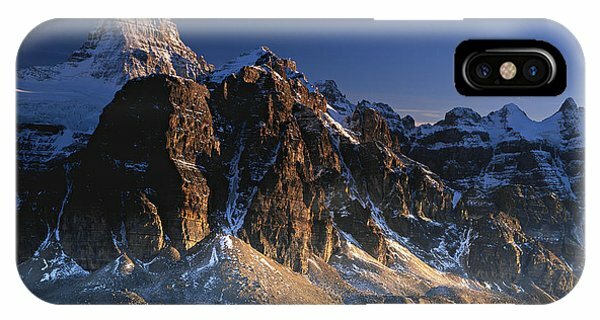 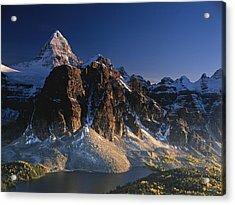 Mount Assiniboine and Sunburst Peak at sunset. 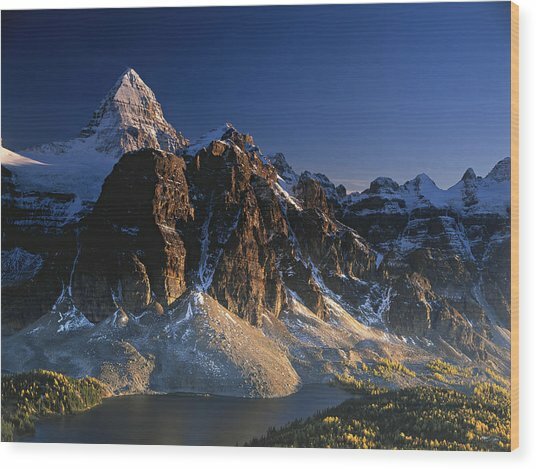 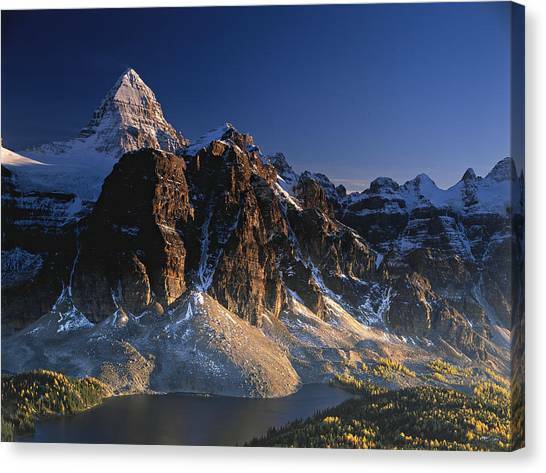 Mount Assiniboine provincial park in the fall. 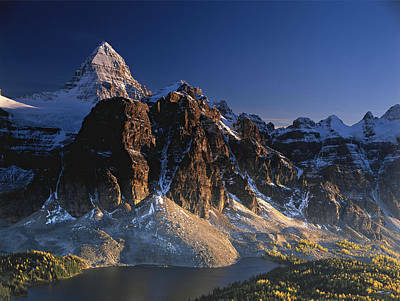 British Columbia, Canada. 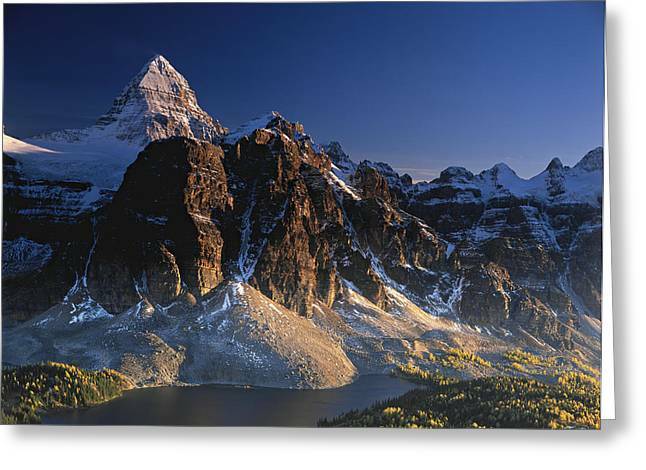 In the foreground - Cerulean Lake.